"What did you do to get this money?" Saban Films has launched the trailer for a new action thriller titled Blood Money, from horror filmmaker Lucky McKee. This film seems like it's straight out of the 90s, with John Cusack in a lead role as a white collar criminal who tries to retrieve his cash, but three kids pick it up first. 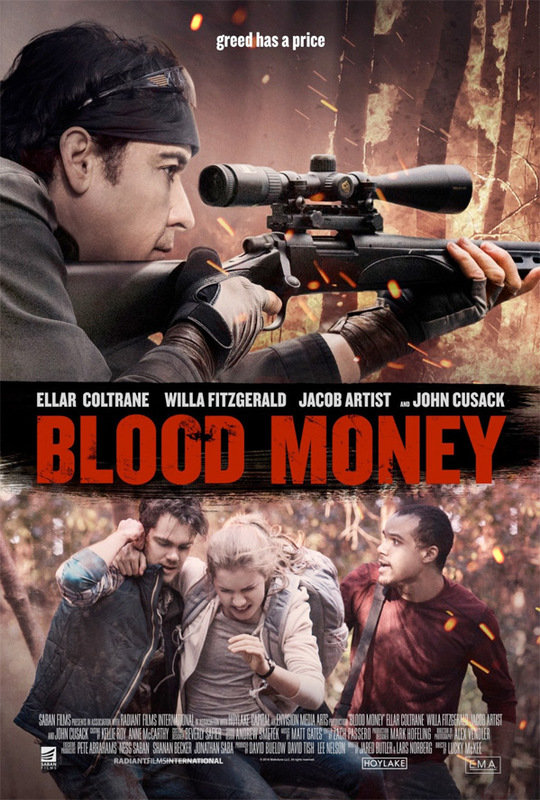 Cusack gets all crazy on them, bringing a sniper rifle along to make sure he gets his money. The rest of the cast includes Ellar Coltrane, Willa Fitzgerald, Jacob Artist, and Ned Bellamy. This looks pretty awful, without much going on besides petty greed. Might be okay for a late night watch, but I'm not too sure. Three friends (Ellar Coltrane, Willa Fitzgerald, Jacob Artist) on a wilderness excursion must outrun a white collar criminal hell-bent on retrieving his cash, but soon their greed turns them against each other. Blood Money is directed by American filmmaker Lucky McKee, of the films All Cheerleaders Die, The Woman, Red, The Woods, and May previously. The screenplay is written by Jared Butler and Lars Norberg. This did not premiere at any film festivals or otherwise before this release. Saban Films and Lionsgate will release Lucky McKee's Blood Money in select theaters + on VOD starting October 13th this fall. Anyone?